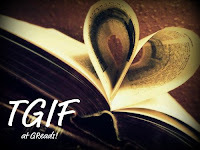 TGIF is a bookish meme hosted by the fantastic Ginger at GReads! in which she asks a bookish question for us to discuss. Not only do I think Ginger is totally rad, but I happen to be a pretty big fan of this meme as well. That, my friends, is what we call a win-win. Bookish Trends: What are some bookish trends you are noticing in the literature world today? Is there a particular trend you'd like to see more of? 1. Dystopian. While I am a huge fan of the genre, I do feel like the market is getting flooded with these. I've started to get dystopian fatigue and am actually holding off on reading any further dystopians for at least a few months. 2. Aquatic creatures. Sirens, mermaids, mermen, and the like. While I haven't gotten into the trend as of yet, it is one that I've noticed and been a little puzzled over. I'm open to suggestions on opening the door to the aquatic creature trend, so let me know what you like! 3. Series. Yeah, I love character development and series are a great way to accomplish this. I love being a part of an epic story that sweeps me away and encompasses my heart and soul. That doesn't mean EVERY BOOK needs to be a series. I need a good stand alone for some closure now and again, okay? 1. Historical fiction. While I feel this is always on the back burner, I'd like to see some crazy awesome buzz and publicity going around for a historical fiction novel. It can even be a retelling for all I care - just share the love! 2. Science Fiction/Fantasy. Here's the deal - I will NEVER get enough SFF. That's partially because I love anything that has dragons and swords and wizards and stuff, and partially because SFF is so varied and creative and absorbing. The variety in characters and words provide endless possibilities and I am always wanting. MORE PLEASE. 3. Cowboys. Random? Yes. But how many YA books do you read that have to do with cowboys and the wild west? Yeah, this kind of fits into the historical fiction category but I'm being a bit more specific here. I'm looking for a Jesse James or a Wyatt Earp or Calamity Jane type character in a YA setting. If you've heard of one, please let me know! What about you? What trends do you see? What are you over and what are you clamoring for? Let me know and link it up over at GReads! today. COWBOYS FTW FOREVER. I would read any YA book about cowboys, PLUS it would qualify as historical fiction, too, and that makes the Wild West double-awesome! The historical fiction that I always seem to notice involves Italy all the time! Not a bad thing, but, you know. But seriously. A book about cowboys would be the business. oooh Italy, huh? I need to get on that action. I'm not really jumping on board with the whole mermaid trend. I've tried reading several books dealing with these characters & I just can't seem to get into them. 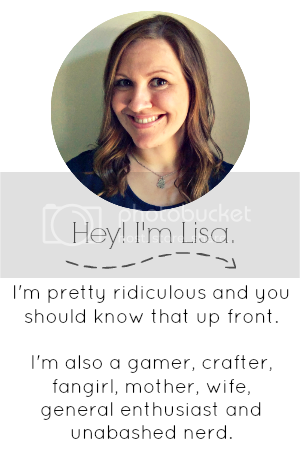 Btw, LOVE your cute little coffee cup buttons on the sidebar! I find it AWESOME that you are asking for more Westerns/cowboys! Innnnnteresting... I can honestly say I've never really thought of Western and YA going together, but now that you mention it, that could be kind of epically cool. I'm all for some different trends that maybe no one's really tapped yet. Fingers crossed someone taps them! Right? Untapped = fresh and awesome. Wow- I can totally get behind more historical fiction! Especially non-romance historical fiction. Non-series are SO hard to find! I feel for her. I can't get enough of dystopian, ever. NOR SFF. MORE PLEASE. There are a lot of water things, and I've been one that has been reading a lot of them lately. The BEST I've read has been Monstrous Beauty, out in September. It isn't a "mermaid story" but a story that has ghosts, mermaids, and a bit of history involved. So I HIGHLY recommend that Gem when it comes out in September. I did a review on it VERY VERY EARLY back I guess about a month ago. It was INCREDIBLE. But a mermaid was on the cover so people automatically think it is just a mermaid book. It has mermaids in it, but it has ghosts and mystery and history too. I love this post. And you! Thanks for the heads up on Monstrous Beauty! 1. I haven't read too many dystopians yet - loving them! 2. I haven't read any books featuring aquatic creatures - but I would love to! 3. So agree about series too - too many! I agree with you about historical fiction! I would love more. And heck yeah, cowboys would be awesome!!! Yup, dystopian and series are very popular. I like that idea of more cowboy books. Yaaa. hehe. Thanks for stopping by. I'm totally with you: there can never be enough awesome science fiction and fantasy books!! :) And I absolutely love historical fiction as well. And yes, series are more common than standalone novels these days... I kinda love that, but it would be nice to just have a story wrapped up instead of having to wait 2 whole years before all will finally be resolved..
Lost Voices by Sarah Porter is a fantastic mermaid book. Though, I should warn that there's no romance in case that would deter you, though. I absolutely agree that we need more historical fiction! While I have really enjoyed some of the dystopians I've read, I'm getting kind of tired of them. I think I need to follow your lead and take a break from them. And you already know I completely agree on the frustration regarding series. I mean, what's so wrong with having a stand alone book? I've noticed lately that I really lose my desire to start a new book when I find out it's going to be a series. I think cowboys would be a ton of fun! Also, going along with your historical fiction idea, I think Civil War-related or WWII-related books would be awesome. I love topics like this that get me to thinking!